A group opposing the Scotia Basin Exploration Drilling Project gathered at BP Canada's Halifax headquarters this week for an "Unwelcoming Party" demonstration, amid concerns that a proposed drilling project could affect First Nations fishing areas. Activists served lobster rolls in the lobby of the building that's home to British Petroleum (BP) Canada's Halifax headquarters this week, as part of an "Unwelcoming Party" for an oil rig already en route to set up offshore of Nova Scotia. Washing up with the news of BP's plans are concerns of how the project could affect First Nations food, social and ceremonial fishing. "We want them to know they aren't welcome here. They never will be," said Mi'kmaw Michelle Paul, who helped organize the demonstration on Wednesday alongside the Council of Canadians. Paul tried to hand deliver a signed card to BP's office but was stopped by building managers and a large police presence. "As a rights-holder, I was offended when I heard BP is setting up in our waters. I wanted to tell them face to face." On April 7, the Canada-Nova Scotia Offshore Petroleum Board (CNSOPB), authorized BP to carry out "preparatory activities," allowing the company to enter Nova Scotia waters, but has yet to approve any of the four drilling licences BP applied for as part of the Scotia Basin Exploration Drilling Project. BP's proposal includes multiple exploratory wells roughly 330 km from Nova Scotia's south shore. In its final report on the project, the Canadian Environmental Assessment Agency looked at potential effects from the proposed wells on an assessment area that includes First Nations food, social and ceremonial fishing (FSC) areas, and the mitigation measures proposed by BP. The report states the activity that comes with drilling and operating a drilling rig could affect fish habitats and water and sediment quality, leading fish to avoid the FSC areas and adversely affecting First Nations' catch. The report says these effects are predicted to be temporary and reversible. "Is there nothing sacred?," asked Paul, who said she isn't surprised federal and provincial governments are considering the project despite potential impacts to the environment and First Nations communities. Paul said she doesn't want to see "a Deepwater Horizon in our territory." The Deepwater Horizon was a rig owned by Transocean and leased by BP that exploded and sank in in the Gulf of Mexico in 2010. Eleven crewmen were killed and officials estimated that 4.9 millions barrels of crude oil were leaked. It was the largest spill ever in U.S. waters. BP settles Deepwater Horizon oil spill claims for $20B with U.S.
Paul said it's not just the ecosystem she's concerned about. She said she's still waiting for Canada to "take the treaties off the shelf" and allow the Mi'kmaq more access to commercial fisheries and to their economic benefit. "Even though the government has set [the area] aside for traditional use, when it comes to profit, they're going to do what they're going to do. There's a long history of [governments] disrespecting [the Mi'kmaq]." She said she also wants the government to change the way it consults with First Nations on natural resource matters, giving ancestral practices more weight. The Assembly of Nova Scotia Mi'kmaq Chiefs, which is consulted on these matters through the Kwilmu'kw Maw-klusuaqn Negotiation Office (KMKNO), said it recommended a Mi'kmaq Fisheries/Traditional Use Study that the regulatory bodies carried out, "to mitigate any possible disturbance to the Mi'kmaq fisheries." "The Mi'kmaq have fished off the shores of Nova Scotia since time immemorial. The Mi'kmaq Nation continues to fish for Food, Social and Ceremonial, as well as communal commercial purposes in the project area of the Scotian Basin project," said KMKNO Director of Consultation Twila Gaudet in a statement to CBC News. "Although Canada and Nova Scotia may feel that there are boundaries for Mi'kmaq harvesting, this is not the way that the Mi'kmaq have lived or continued to live, or how we see traditional harvesting areas of any species." 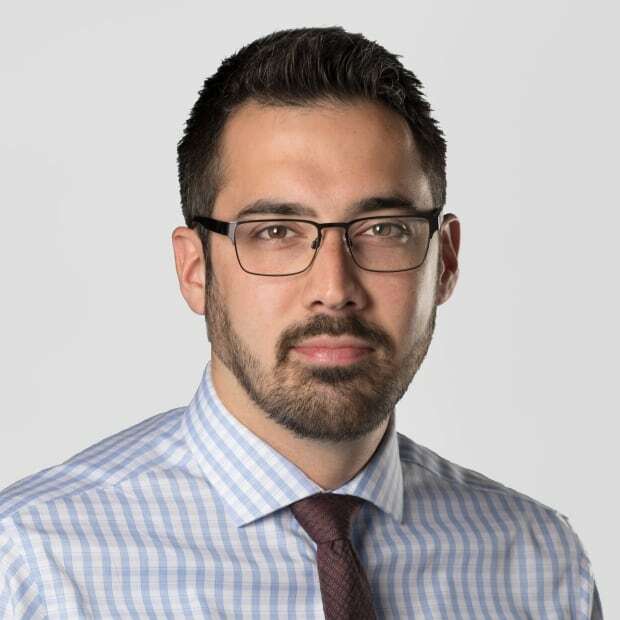 Before any drilling operations begin, KMKNO said "further government approvals and continued consultation with the Mi'kmaq of Nova Scotia will both be required." A spokesperson for the CNSOPB said the lengthy regulatory process, which includes "rigorous consultation" is still ongoing and there are no guarantees. They added that BP "is aware of the risk" of transporting the rig before drilling is approved. The spokesperson was unable to estimate if or when approval for drilling would be given. Anita Perry, a spokesperson for BP Canada, said the company "engaged in comprehensive First Nations consultation since 2013," and that the company is satisfied with the regional environmental assessment. "We've had a lot of great dialogue with the Mi'kmaq," said Perry. "Our project is approximately 300 kilometres offshore, and in our view, safe operations is our priority." 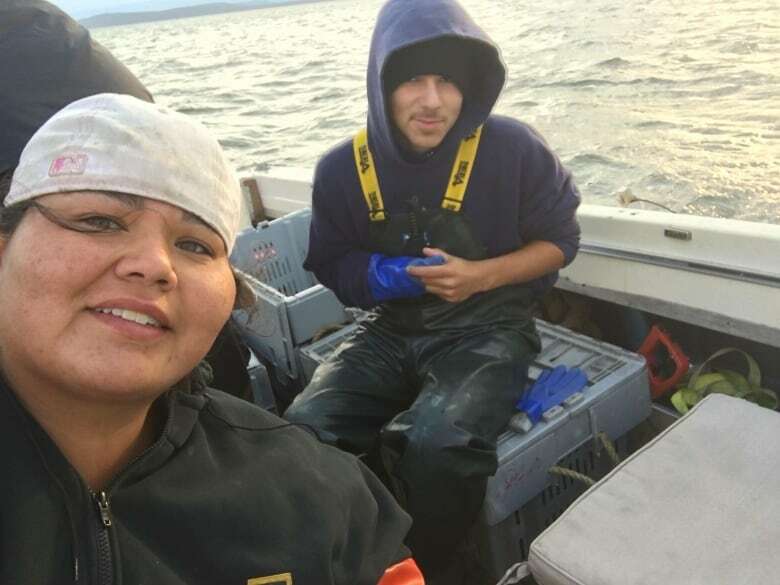 "As a fisherwoman, it is something we all worry about and that we all think about," said Mi'kmaq Marilynn-Leigh Francis, who fishes out of Yarmouth, N.S., about 500 km west of the Scotia Basin site. "I won't support any oil drilling anywhere near Nova Scotia. We don't have many [natural] resources left, and if something were to happen on that rig, it's not just a matter of fishing for a livelihood, it's a matter of sustaining our way of life. Interrupting the way we've [fished] for thousands and thousands of years." Francis said she's been fishing with family members "by her inherent right" for 20 years, outside of Canada's fishing regulations, and is the only person doing so in Mi'kmaq territory. She said the integrity of Nova Scotia's ecosystems and Mi'kmaq ancestral territory "can't be bought," no matter the economic benefit. She said that while she's never fished the waters targeted by BP, she's prepared to defend the Mi'kmaq's right to if permission is given to start drilling. She said protests will likely take to the water. "I've got my own boat, so I'm going to be out there either way. I'd hope others would go out, too. There's a lot of warriors in Mi'kma'ki."